I live in Calgary and have a new garden. Last year the tops of my radishes grew quickly but they did not grow radishes and then turned to seed. Help! 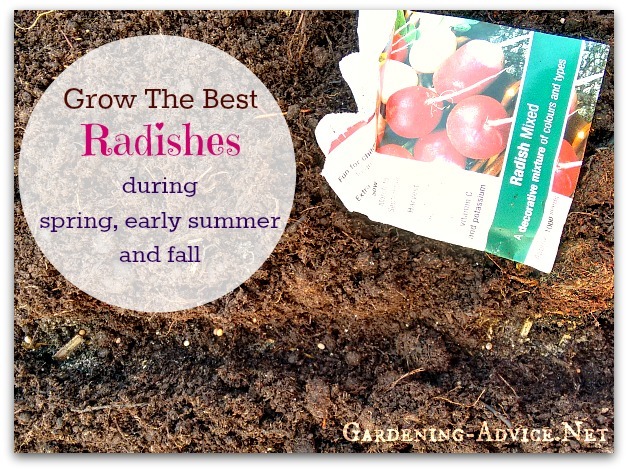 Sow Radishes at the right time! 1. Radishes prefer cooler growing conditions. 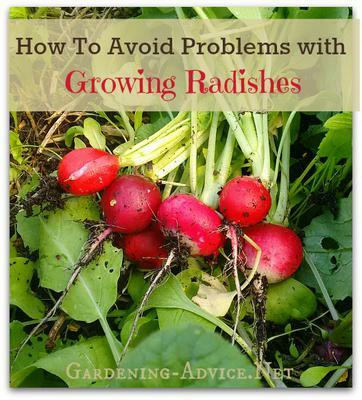 Avoid sowing radishes in the middle of summer when the weather is hot and dry. Choose a spot that is slightly shaded if you try growing radishes during the summer. 2. Make sure to water regularly in dry weather. Keep the soil mulched with a layer of organic matter. This will keep the moisture in the soil and keeps soil temperature lower in the summer. 3. Bolting can be triggered by the length of the day so avoid sowing when the days are longest. The best and juiciest radishes are from spring, late summer and autumn sowings. 4. Improve poor soils with regular additions of good compost and a thick layer of mulch. In general, radishes aren't heavy feeders but they like a loose soil with lots of organic matter. If you encounter problems with cabbage flies and flea beetles you can cover them with a floating row cover or insect protection fleece. You can get it here . You will need this all the time if you want to grow vegetables faster and give protection from pests without using chemical sprays.